80 BRAVA MAGAZINE | MAY 2014 LINGER MAPS FROM THE PAST | Love to treasure hunt? 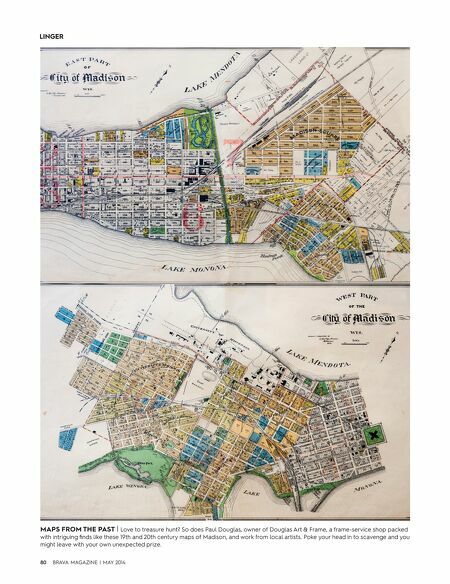 So does Paul Douglas, owner of Douglas Art & Frame, a frame-service shop packed with intriguing ﬁnds like these 19th and 20th century maps of Madison, and work from local artists. Poke your head in to scavenge and you might leave with your own unexpected prize.